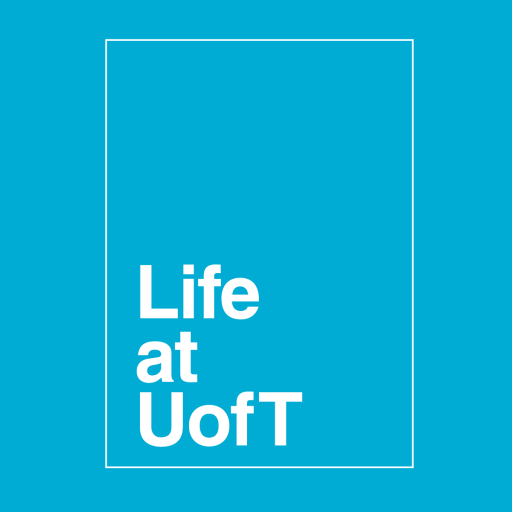 LEARN Institute, Toolkit Conference, and Marketing and Promotions at U of T! My hands were clammy, my stomach did flips, and my legs maybe even trembled. Cynthia, you ask, what did you do this time? Why, I co-facilitated my first workshop ever at the 2009 Toolkit Conference! If you’re like me, you are constantly told that you need leadership skills to do well in your future. But if you’re also like me, then you’ll be lamenting the fact that you weren’t born with leadership skills. Here’s where the LEARN Institute comes in. No, they say, leadership is not something you’re miraculously born with. It’s a process – it’s something you develop and practice and refine. Through volunteering for The Centre for Community Partnerships in my first year, I was invited to join the LEARN (Leader Educators And Resources Network) for their pilot program. Unfortunately, I didn’t have the time to go, but I was warmly welcomed back this year (yay!). I participated in LEARN’s Leadership Lab over the summer where I learned about things like effective communication skills, conflict resolution skills, and diversity and equity skills in a supportive and nurturing environment. It was so much fun! Food was involved of course, but we also did group presentations and role-playing and recorded ourselves making a short presentation. I loved how interactive each activity was and we shared learning and laughter in equal parts. After the Lab, it was time to put what I’ve learned to the test. I was invited to co-facilitate the GET NOTICED, GET RESULTS: The Basics of Marketing and Promotions workshop at the Toolkit Conference (check out their new blog and read about all their exciting changes here!) with Student Life Communications Coordinator, Josh, AKA, one of my three summer bosses. Toolkit is the conference Leadership Development runs every year for executives and members of group organizations. 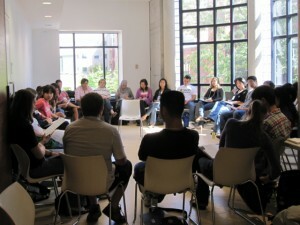 Our workshop was simple enough: we were presenting in a relatively small room for 20 or so student leaders in a relaxed, we’re-all-sitting-in-one-big-circle kind of setting, and all I had to do was do 10 minutes of a 45 minute presentation. Simple, right? Not quite. Even though I practiced (a little) before hand, there’s nothing quite like those 20 or so pairs of eyeballs staring expectantly at you to impart some sage knowledge upon them to take home. My first “Hi!” was too loud and my first joke was met with silence, but as I took a deep breathe and plowed forth, I got nods and smiles and questions and even (finally) giggles! 600 seconds passed surprisingly quickly and all too soon I was finished. My first experience was surprisingly fun! It’s neat to see that I’ve somehow absorbed my lessons from LEARN and was able to listen actively during questions and not fidget (as I’m prone to do!) while talking in a steady not-too-fast speed. Also, another cool thing about the workshop was that I finally met Lori from BlogUT who did the three-part msn interview with me, and Sunny, the writer of the FOLD guest blog story! They were both in our workshop, and it’s great to be able to put names to faces! So what about Marketing and Promotions you ask? I know you want to know, so here are some free but uber-useful tips for marketing at the university! Double check your message (and get somebody to triple check!) – Is your message inclusive? Will most people get what you’re trying to say? There are lots of ways to get your message out there, but whatever you do, don’t forget your group’s logo on your nicely designed materials! Get out there! Whether it’s by posters or emails or blogs or word of mouth (or even a street team!) – the more people who know, the better! Finally when you’re done, take the time to get some feedback. What worked, what didn’t, and be sure to include it in your next project/event! Got a success story regarding M&P? I’d love to hear it in the comments! Great workshop, Cynthia! I had an awesome time at Toolkit. I thought your first joke was funny. It was a pleasure to present with you – I’m happy it was such a good experience. Yea street teams! Next Post Crumpled Paper Magazine: Looking for Submissions. Draw instead of Facebook!